I met Col Bannister at Manus. I was eager to meet the females of the military as they were a juxtaposition of being woman and being a warrior. They had a tough exterior that made them unapproachable. I didn't want to mess with them, but I was a person on a mission so I had to force myself to crack their exterior. In most cases all it took was a simple smile and an introduction. There were a few who didn't want to talk to me no matter what. I have my own idea of what that was about. Col Bannister made special time for me out of her busy schedule being Chief Medical Officer at Manus Base. This is a demanding job that she seemed to handle with ease and grace. I found those to be traits of hers. Her job Stateside is just as demanding, but entirely different. 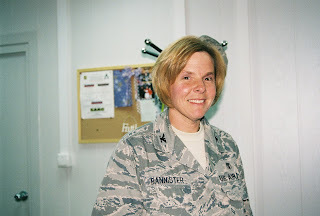 Col Bannister is the officer who calls the orders during a dignified transfer. We talked equally about her job at Manus and at Dover. Her career couldn't be more fitting given her history with the Military. At the young age of six she was indoctrinated into the side of the military that deals with death. On March 7th, 1972 three days prior to her sixth birthday her father's F4 was shot down over Laos during the Vietnam War. What followed was the circuitous route that fate sometimes takes us to find where we belong and can do the most good. 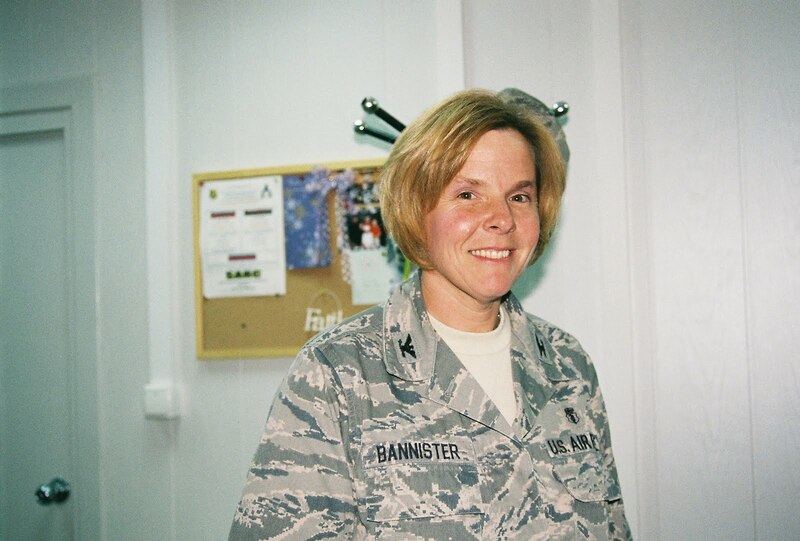 Col Bannister is an amazing women for her grace and courage. I can't help but wonder what her thoughts were a week or so ago at Dover during the dignified transfer of the 30 Americans who could not be separated for identification.